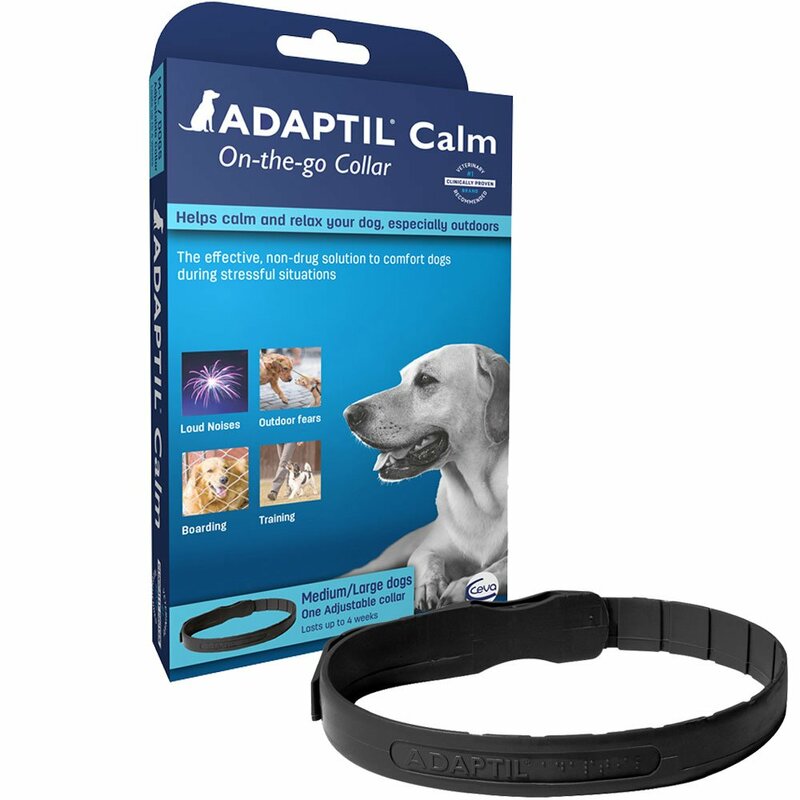 ADAPTIL Calm On-The-Go Collar provides �comforting messages� (dog appeasing pheromones) that helps dogs feel calm and relaxed in situations like loud noises (thunderstorms and fireworks), staying alone, traveling or other fearful situations. 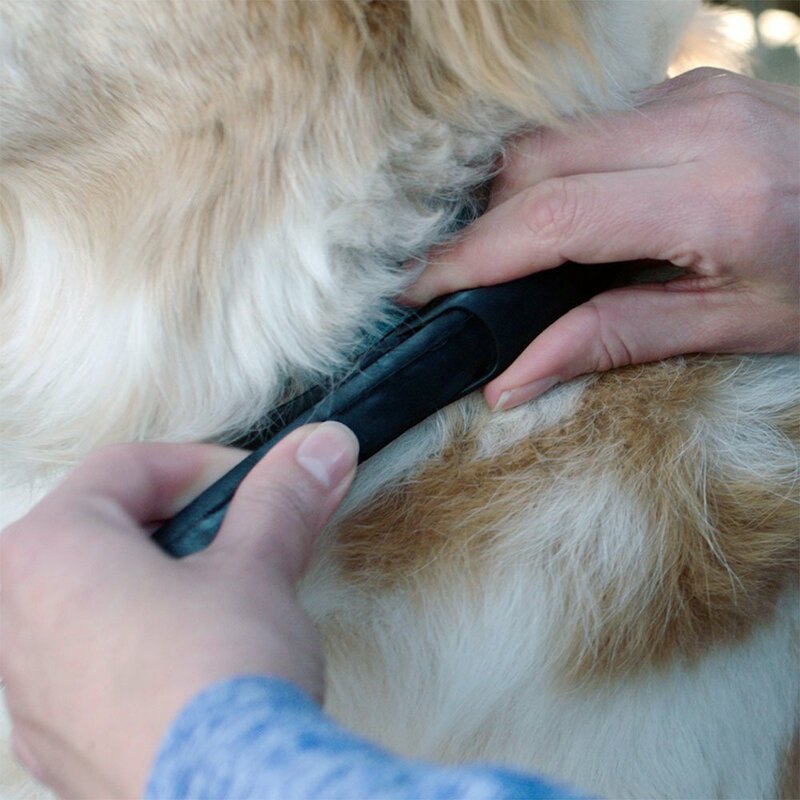 These odorless messages are only perceived by dogs and provide a strong signal of security and comfort. Cats and people are not affected. My little Bichon suffers from severe anxiety when I travel to any other place than home. I put the collar on when I started the 5 hour trip and I don't know when it kicked in, but when I arrived at my destination, she was a normal dog. Everyone noticed the difference. Thank God! 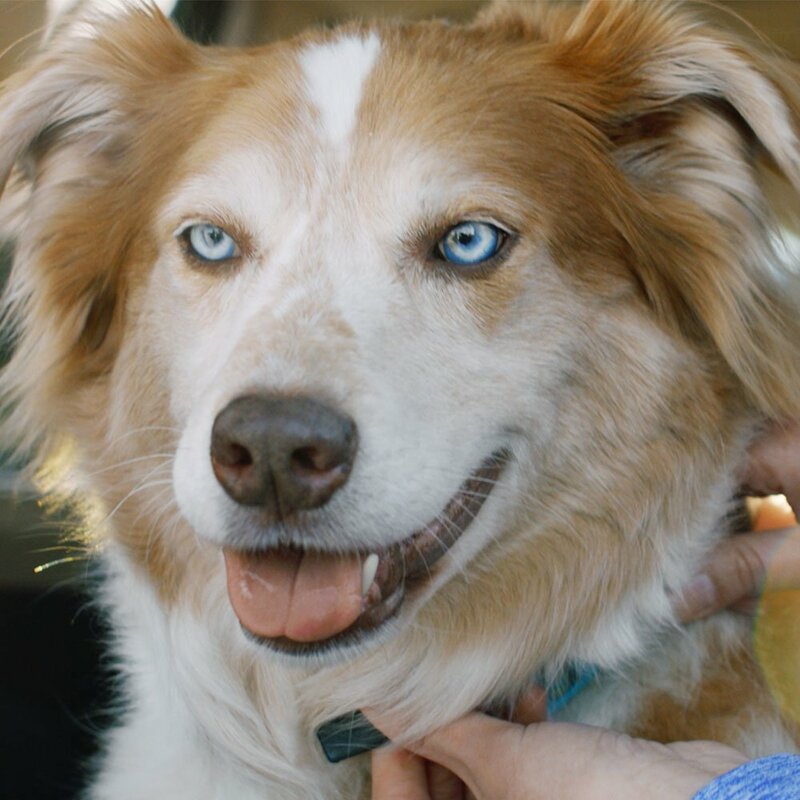 She would always be in a panic situation unless I would be holding her, and now with the collar, I can actually leave the room without her at my heels jumping for me to pick her up. 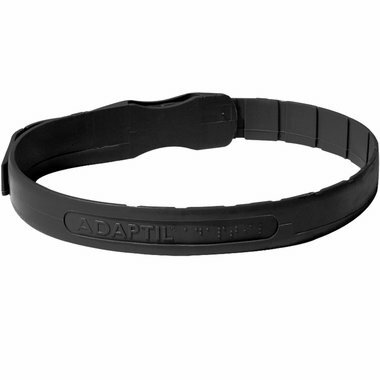 ProsEasy to put on and fit. Unfortunately, this product seems to have absolutely no impact on my dog's separation anxiety. I have also tried the Adaptil spray as well as using both products simultaneously. 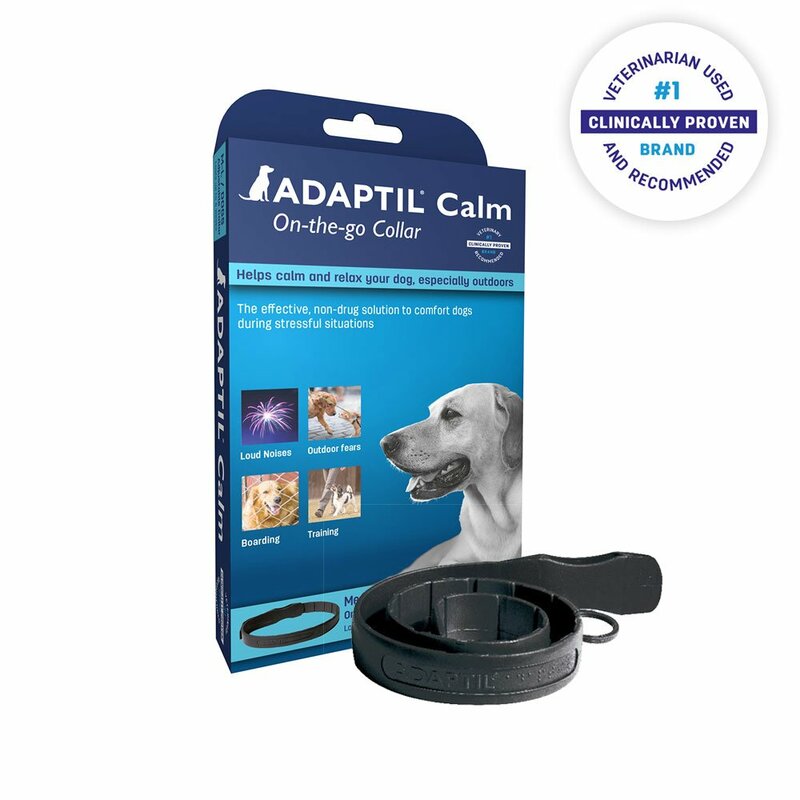 That being said, it is of course entirely possible it works on other dogs and the trainer I work with said it has been effective for some of her clients' pets. Disappointing for us but worth a shot. ProsEasy to fit. Seems comfortable to my dog. ConsDidn't have any impact. Shipping to Canada is very expensive. A bit awkward to use with another collar.